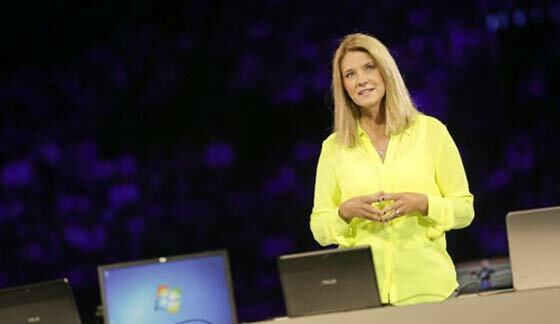 Microsoft has revealed that “Windows 8 has sold 60 million licenses to date”. The software giant said that this figure shows Windows 8 is following a “similar sales trajectory to what we saw with Windows 7”. These latest sales figures were announced by Windows Chief Marketing Officer and Chief Financial Officer, Tami Reller, speaking at the 11th Annual J.P. Morgan Tech Forum at CES 2013. Windows 8 has only been available for a full two months yet there are now over 1,700 certified systems for Windows 8 and Windows RT, reports the Microsoft Blog. Also we know there are a lot more, even more impressive, Windows 8 systems on the way as there are lots of interesting new computers running the OS being shown at the 2013 CES. Beyond the operating system and hardware Microsoft also trumpets the “strong growth in developers building for Windows 8”. Yes, we are talking about the thorny issue of apps. Rather than mention the number of apps now available for Windows 8, Microsoft reveal the following statistics; “the number of apps has quadrupled and we passed the 100 million app download mark”. MetroStore Scanner shows that there are a total 37,417 Windows 8 apps at the time of writing. It doesn’t look like Microsoft will reach the 100,000 app milestone within 90 days. 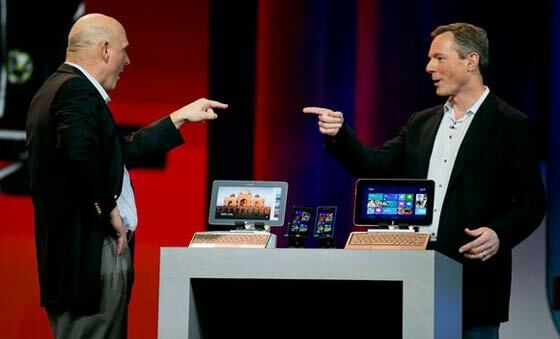 Microsoft’s CEO Steve Ballmer joined the Qualcomm CEO Paul Jacobs on stage during the mobile processor maker’s presentation at CES. Ballmer took the chance to show off some well regarded WP8 smartphones like the HTC 8X and the Nokia Lumia range, powered by Qualcomm processors of course. Mr Ballmer changed tack and rather than concentrating on the hardware gave us some interesting yet vague statistics for WP8 smartphone sales. He said that “In November, we reported that sales were four times greater than the same time last year, and during the week of Christmas, we sold five times more phones than the same week last year.” Real numbers would have been much more interesting.